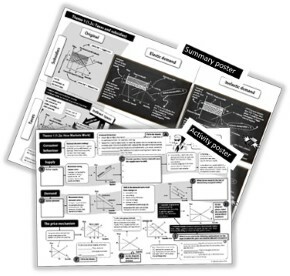 Visual, engaging and photocopiable A3 posters with concise, easy-to-learn summaries of every specification topic. Succinct notes summarise difficult theory, while key diagrams support your budding economists’ visual understanding. 11 photcopiable A3 pages + 12 photocopiable A4 pages.